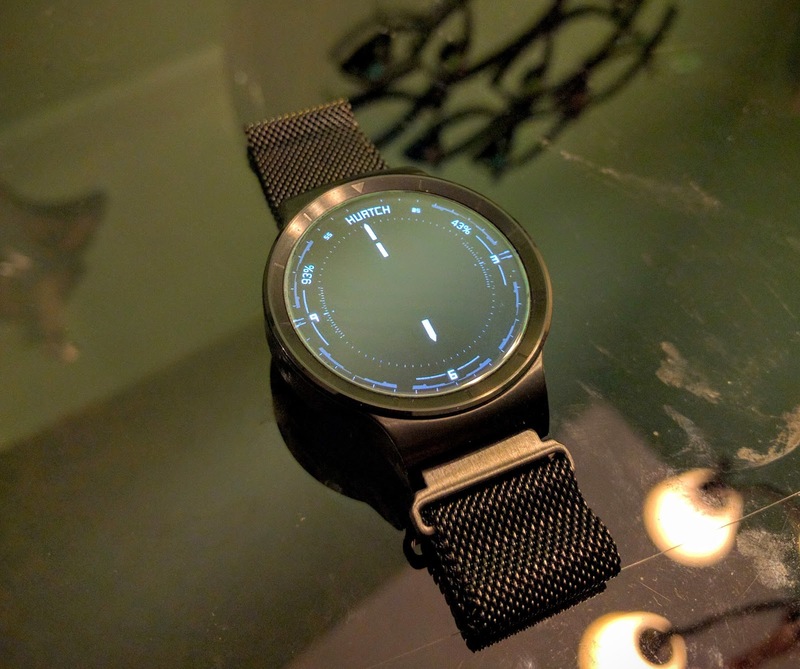 When Huawei first started to show off their fantastic Android Wear smartwatch, they did so with a dizzying variety of finish and band combinations. 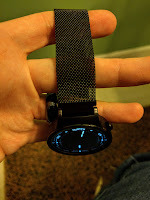 I liked many of these different configurations, but one stood out to me as the one to have: the black stainless watch with black stainless mesh band. Now I like my black Huawei Watch with black links just fine. I think it's a great-looking combo, and the link band is really well made. I do find, however, that the band frequently feels either too loose or too tight no matter how many links I remove or add back in. There's not a happy medium for my wrist, and that is exacerbated as my arm may swell slightly throughout the day. And I still sometimes get my arm hair (or what’s left of it) pinched and pulled between the links. It’s a great-looking band, but not really a particularly comfortable band. I experimented first with a mesh band I found on eBay. I had some issues with getting the right pins to fit the Huawei Watch's 18mm lugs, but I was relatively pleased with the band once I got that sorted. 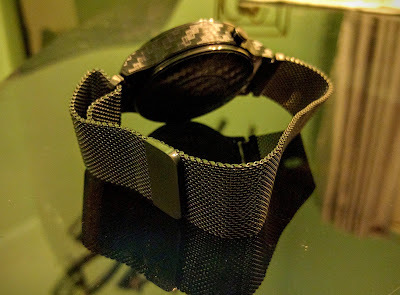 It was easy to adjust for an appropriate fit throughout the day, but having to slide the thick mesh through the clasp made it a real chore to don and doff the watch. The buckle mechanism also added a little bit of thickness to the underside of the band which sometimes caused a little bit of discomfort. Oh, also I somehow managed to break the band into pieces while attempting to swap in the correct pins. While the China-based seller helpfully offered an exchange if I would return the broken band, I wasn't sure it would actually be worth the cost of return shipping. I swapped back to the stock steel links and kept looking. I recently stumbled across this post from +W Ram showing off his new magnetic clasp Milanese Loop mesh band, and I knew I had to have one. YESOO offers three versions of their Loop band for the Huawei Watch: Black, Silver, and Rose Gold. 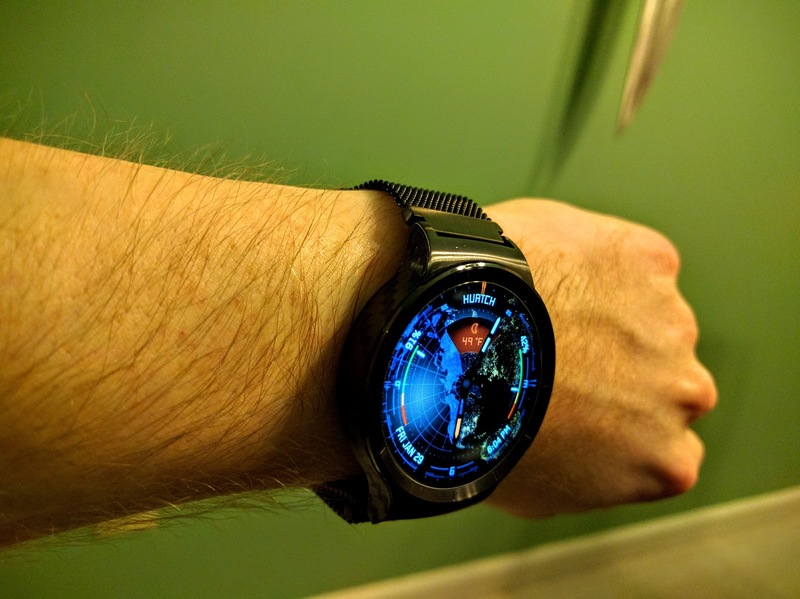 I ordered the Black one (to match my watch) for $23.99 with free shipping, and it was delivered about a week later - much quicker than the original delivery estimate. Initial impression: WOW. The quality of this band really has to be felt to be believed. It emulates the $149 Milanese Loop that Apple sells for their smartwatch; while I’m sure that band is of the absolute highest quality, I have a hard time imagining how it could be $120+ better than this one. The strap is a fine steel mesh that is incredibly supple to the touch. It is quite thin and very lightweight, but doesn’t feel cheap. One end of the strap holds a fixed endpiece which fits into the Huawei Watch’s 18mm lugs and flares out to 22mm just like the factory bands. The opposite end features the magnetic clasp. The other lug connector slides freely along the length of the band between the two fixed ends. Once the two connectors are affixed to the watch’s lugs using the provided quick-release pins, gently pulling on the magnetic end shrinks the band around the wearer’s wrist. The magnet adheres solidly to any point along the mesh. This is without a doubt the most comfortable watch band I have ever worn. The fine mesh feels quite smooth against the skin. There aren’t any discernable joints to tug on my arm hair (like with the stock link band) nor a bulky buckle to apply pressure at any point (like with my previous mesh band). The infinitely-adjustable magnetic clasp ensures perfect sizing and a snug (but not constricting) fit. Any necessary adjustments throughout the day take virtually zero time and effort: just pull the magnet away from the mesh, take up or let out slack as needed, and bring the magnet back to stick securely to the mesh band. I was impressed by just how securely the magnet holds. No matter how much I flailed my arms about I couldn’t get the magnet to budge on its own. It will stay in place until you want to move it, but it doesn’t require a feat of strength to adjust thanks to a thin rubber gasket on the magnetic face. That gasket provides just enough of a gap between magnet and mesh to allow for easy adjustment without a struggle. After a few days with the Milanese Loop band, I’ve learned there is a bit of a trick to putting the watch on and taking it back off. The magnet is strong, so it will try to stick to the band prematurely during the process. I’ve found that holding the magnet between my thumb and forefinger while I loosen the band with my middle finger works wonders to keep the magnetic forces at bay. That may not be quite as easy to work with in this aspect as the stock steel links, but it is significantly easier than the other thick mesh band I had tried. On a related note, the magnet closure isn’t selective about what it will attract. 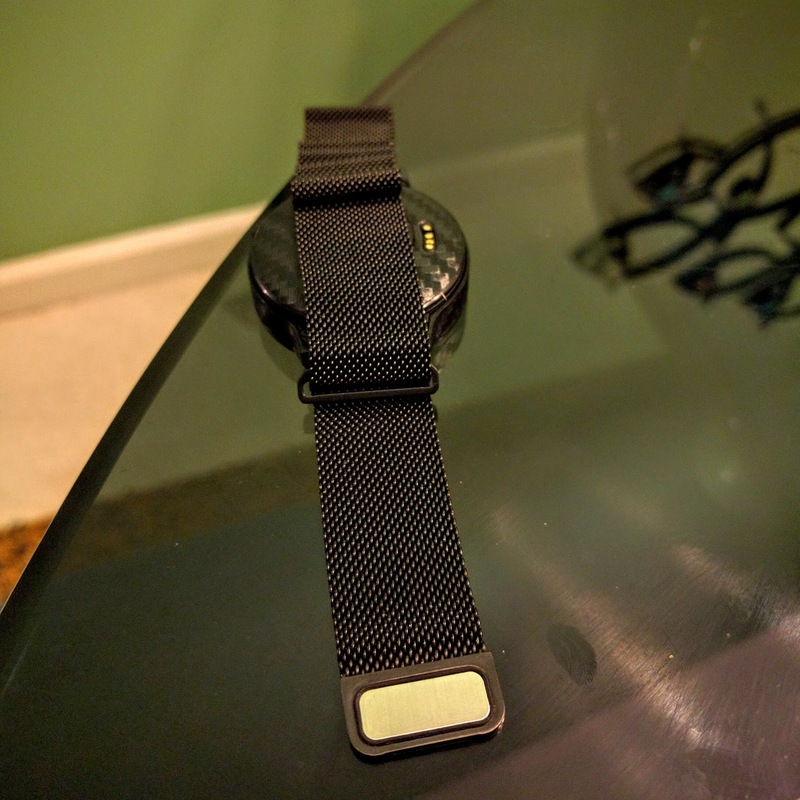 I’ve had mine stick to my badge-holding lanyard, the also-magnetic Huawei Watch charging puck, and even a metal filing cabinet (that one may have been intentional). This isn’t really a problem, but is a reminder that the magnet is a magnet, and it will do magnet-y things. One more potential pitfall: the quick-release pins are not captive in this band as they are with the stock links. They slide into place easily from one side - but will also slide back out just as easily in the opposite direction. It’s possible that a clumsy person (*raises hand*) might lose a pin during the installation process. YESOO helpfully provided an extra pin inside the package just in case. All told, this band has far exceeded my expectations. It looks great and naturally complements the classy Huawei Watch quite well. 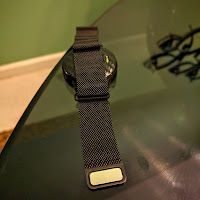 The mesh is lightweight and unbelievably comfortable to wear, and the magnetic clasp provides a range of adjustment that simply isn’t available with any other type of band I’ve encountered. Honestly, I can’t believe that a band this good costs less than $25 shipped. 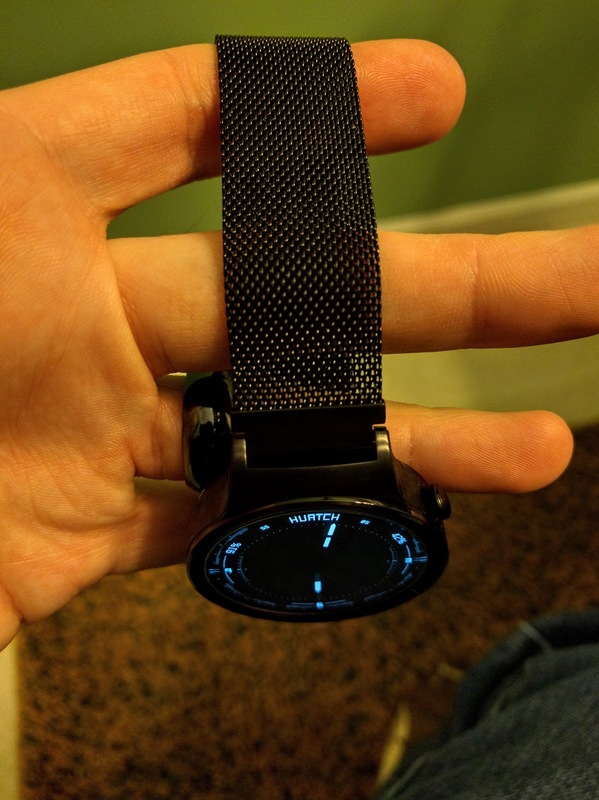 If you have any interest at all in a mesh band for your Huawei Watch, make it this one.